Best one on snow and in the dry Nokian WR D3 is awarded price-performance winner New Nokian WR D3 winter tyre is „very recommendable“ in the winter tyre tests 2011 of the renowned German car magazines „auto motor und sport“ and „Auto Zeitung“. The Nokian is the best on snow and in the dry. It clearly wins the driving tests on snow. „Currently best winter properties compared to its competitors, good driving behaviour in the dry“, the judgement of „auto motor und sport“ praises. Maximum score, shortest braking distance, fastest handling time, and strongest traction on snow for the Finn. Nokian WR D3 is awarded price-performance winner being the most low-priced of the very recommendable premium winter tyres with a price of 112 Euros compared to the others which cost around 133 Euros. Showing excellent results, it clearly wins the snow tests: 100 points of a possible score of 100 with „auto motor und sport“, 142 of a possible score of 150 with „Auto Zeitung“. 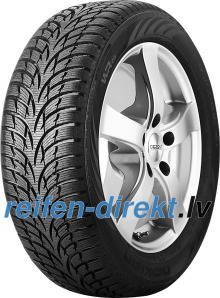 „Outstanding properties on snow characterize Nokian WR D3“, „Auto Zeitung“ summarizes. „Brand new Nokian WR D3 is a highlight in this assessment. You can see where the Finn comes from for the competitors do not stand a chance in this test against it. In four out of five tests, the Nokian achieves full score. … On snowy roads the new WR D3 is ahead of everyone else. Even at the limit, it is absolutely neutral and establishes enormous grip. … Fast lap times and a high driving safety in the wet are on the Nokian’s plus side. … Dry braking belongs to the fast Finn’s strengths.…“ Shortest braking distance, fastest handling lap time, best traction on snow among all tested tyres and fastest handling lap time in the dry prove its qualities. Second lowest rolling resistance and for this reason second lowest fuel consumption as well as second lowest road noise show its eco friendliness. ”The skill to achieve top scores in the tyre test is to have ideal results on all road conditions,“ „auto motor und sport“ explains. „Or at least to be strongly outstanding in one area so that slight weaknesses can be compensated in the scoring system under certain circumstances. The best example is given by new Finnish Nokian WR D3 which indeed on wet roads performs relatively poor due to feeble aquaplaning results but clearly sets the benchmark on snow with the shortest braking distance, the best traction and a very well-tempered driving behaviour: 100 points of a possible score of 100 for the Nokian which not only achieves the best lap time on the snowy handling lane but also drives effortless and precise at the same time.“ German automobile association ADAC ascertains the Nokian’s strengths: „Top mark 1,8 in the dry“. Its handling is outstanding, marked 1,6. With the good marks 2,1 on snow and 2,3 on ice it performs well even in other driving disciplines and backs up its high safety. Its eco friendliness is proven by the green marks 2,0 in fuel consumption and wearing. Mark 1 is the best mark and 6 the worst mark in the German mark system. Durable Nokian WR D3 is tailored for medium-sized and small family cars and drivers who value safe, economic driving. Nokian WR A3, on the other hand, is optimised for larger and more powerful vehicles with a special emphasis placed on the tyre's sensitive driving response even at higher speeds. 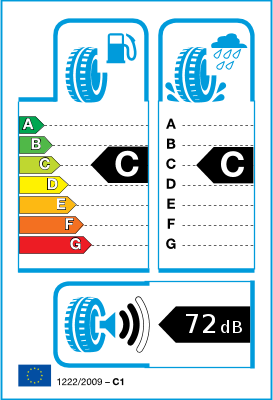 Nokian WR tyres are available in a wide range of sizes from 13” to 20”, speed ratings ranging from T to W (190 – 270 km/h). These new winter products aimed particularly at the Central European markets are from now on available for retail. For tyre change, Nokian tyres are obtainable on good terms at local tyre dealers, as complete winter wheels with rims, too.